I have a racing bike with the wheels secured by axle nuts. For the rear wheel, when I secure the nuts to finger tight the wheel turns fine, but when I tighten them properly the wheel is stuck and will move only with a lot of effort on the pedals. When the wheel is loose out of the bike it turns fine and, like I say, it turns when the nuts are finger tight. The wheel has worked in the past. The only thing I have changed recently is that I had to remove it to change some of the spokes, but I'm not sure why this would cause this problem. I've checked and it doesn't seem to be rubbing on the stays or the brakes. I have had that problem in the past, but this is very different in that the wheel barely turns when I turn the pedals. 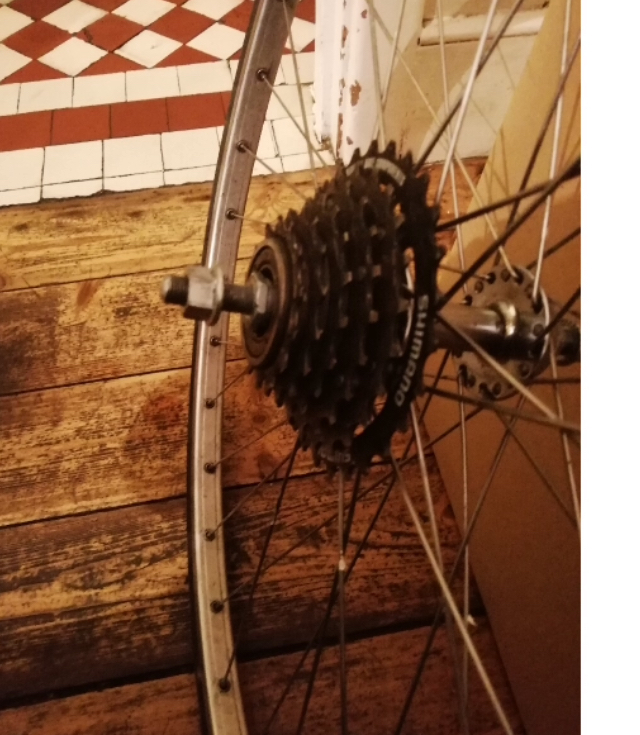 The wheel uses a freewheel (6 cogs) rather than a freehub. I removed the wheel and then removed the freewheel and adjusted the position of the locknuts and spacers. 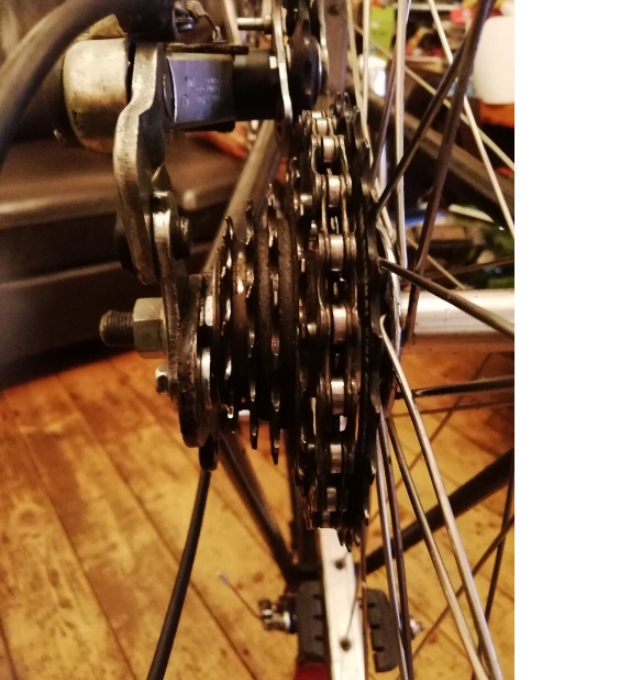 I also removed and refitted the derailleur, and then refitted the wheel. The wheel then worked ok for a while, but then seized up in the same way. I have since disassembled, greased and reassembled the axle. I have then given it a 10 minute test ride and the wheel did seize up. However there was quite a lot of creaking and clunking coming from the rear wheel area. This was something which was happening before the wheel seized up (I forgot to mention it in the original version of the question). 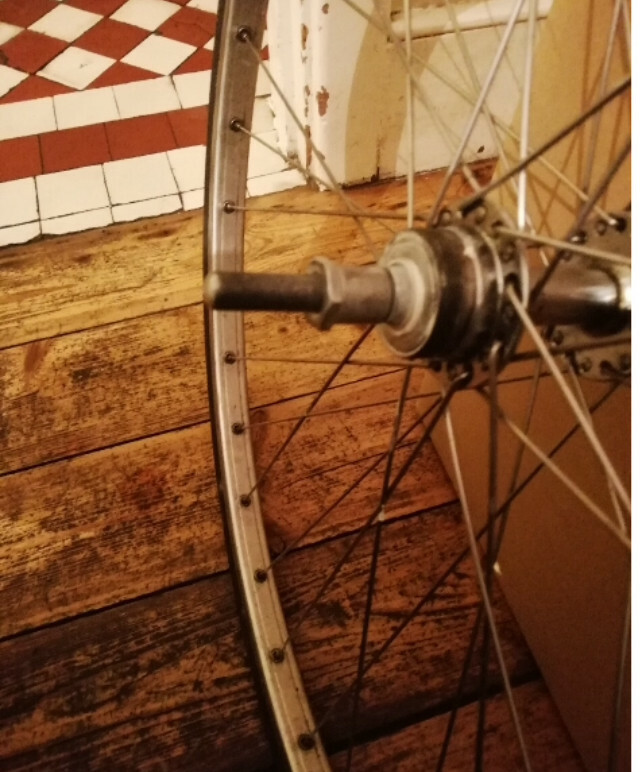 I've attached a photo of the rear wheel with the freewheel still attached, and another with it removed. It sounds like the freewheel is hitting the frame. Can you see any contact between the outer cog and the stays? One possibility is that you dropped a spacer from the axle as you put it together. Another is that the freewheel might not be threaded all the way back onto the hub and you should hand tighten it. The first few pedal strokes will tighten it the rest of the way. It's also very easy to get the freewheel cross-threaded onto the hub, which would keep it from going on all the way. It might be possible to take the freewheel off and get it restarted. In any case, a picture would really help, especially if it shows how much the locknut protrudes past the freewheel body. Not the answer you're looking for? Browse other questions tagged wheels freewheel or ask your own question. What causes a wheel to seize?